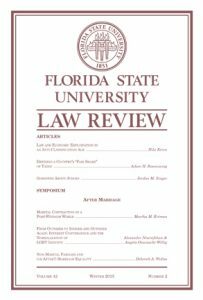 This remarkable anthology of essays, which was edited by Val Ricks and published in Volume 45 of the Florida State Law Review, includes two concise contributions by yours truly: (a) “A Bayesian Analysis of the Hadley Rule” (pp. 925-928) in which I extol the virtues of Hadley v. Baxendale, a famous UK case involving a broken crankshaft, and (b) “Replevin for Rose Redux” (pp. 991-993) in which I decry the vices of Sherwood v. Walker, a famous Michigan case involving a barren cow. Your welcome!